If you have ever thought about starting an oil extraction factory that will serve your daily oil necessities as well as cater for the supplies in your regional market, you are indeed at the right place. Remember this is a splendid opportunity for you to make an awesome amount of profit. Oil consumption rates are on an increase. This has been brought about by the improvement in human economic welfare levels. Oil has a lot of uses like in plastics production, cooking among others. The process of setting up the oil extraction factory requires has some factors which have to be considered. The following are the major steps that have to be taken in ensuring successful setup and running of the factory. Research on the requirements in terms of market size, competition, capital, trends, and additional insights on the business is very important. In other words, you need to visit famous websites so as to gather concise information on the economic statistics regarding oil extraction businesses in the region e.g. IBISWorld. This can be done through the online searching or visiting the business premises personally to gather more information on the establishment and running of the business. The plan should have details on; finances, location proposal, start-up capital as well as cost of operation; targeted market e.g. manufacturing companies or food industries and strategy for marketing of the products. It is very important to acquire the requisite funding as well as business requirements. In terms of expenditure you have to consider the transportation cost- not unless you have your own farm- also factor in testing process before selling and the cost of extraction. Conducting business within the provisions of the state/regional laws is very important. Additionally, make sure that the environmental laws are clearly understood because, if they are not well adhered to they can lead to the closure of the factor. This is with regard to industrial waste management in the area. Greatly, you have to acquire authentic permit and license from the local county licenses department. This will ensure that your factory in legally accepted. Make sure you have registered your business name with the department. When selecting the location, ensure that it is near the source of the required raw materials. for example, vegetable farm or olive plantation. This is to cut down on the transportation cost. Water supply to the factory is another important factor to consider when setting up the factory. You will have to conduct thorough research on the necessary equipment for the factory. After you have identified them, go ahead and purchase them. Bear in mind that the cost of the material depends on the model. E.g. a vegetable oil extraction machine, the price ranges from $3,000 to $4,999 for the D- 1688. After the purchase, you have to consider the installation process as well as the cost to be incurred in the whole process. 6. Employee job Vacancy Advertisements. After everything has been finalized from plan to setting up of the factory, you have to look for the competent work force. This is achieved through job advertisements. You have to elaborate clearly on the job qualification requirements to ensure that the employees who will work in the factory have the necessary competence and experience in the process of oil extraction. Through the media, you will be able to identify your preferred candidates. But there has to be an interview before final selection. The oil extraction factory has an equipment which is very important. Without which the extraction process can’t go on. 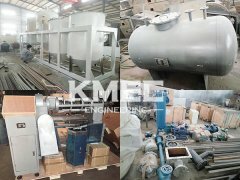 Different oil extraction factories will definitely have different equipment applications, but, this equipment is “key” to any complete factory. This equipment is the oil press machine. 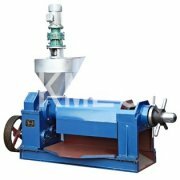 Regardless of the raw material that you will be dealing with the oil press machine is a must inclusion. There are different set-ups of this machine. You can have an incorporated oil press machine, that will extract and filter the oil at the same time or you may decide to purchase an oil press separate from the filter press. The following is a simple guide to the stages involved in the process of oil extraction. a) Pretreatment of the oilseed stage. 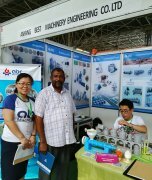 This involves; Oil extruding, Oilseed selecting and cleaning, oil crushing & conditioning, Oilseed flaking, and Oilseed hulling. b) Expelling of Oil stage. This stage involves either; Single pressing, Sesame oil press, Cold Pressing, Large oil press, Hot pressing, Pre-pressing, and Oil filter press. c) Solvent extraction stage. This involves the following apparatus; Oilseed Extractor, Solvent Evaporator, the Oil tank, Desolventizer Toaster, and Oil Stripper. d) Refining of Oil. The following steps are involved; Oil Degumming, Oil Bleaching, Oil Deodorization, Oil Neutralization, and Oil Dewaxing. e) Filling of Oil. This is the final stage in the process. The following machines are involved; Auto Oil Filling Machine, Auto Inkjet Printer, Semiautomatic Blow Molding Machine, Auto Linear Sealing Machine, and Auto Labeling Machine. There you have it, a comprehensive guide to starting an Oil extraction Factory. All the information you would require i.e. 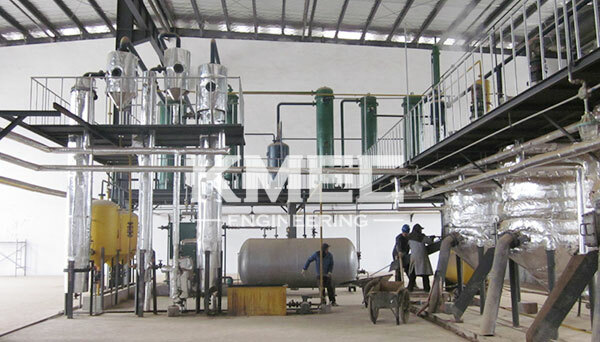 factors to consider when setting up the factory, the main equipment of the factory and the process of Oil extraction.